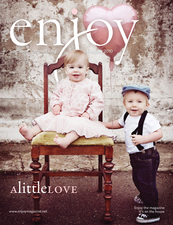 Delaney and Colton were a year old when they graced the cover of the February 2010 issue. They are now 8 and will begin 3rd grade in the fall. Delaney loves gymnastics and competitive swimming and is adored by her two little brothers, Liam and Hudson. 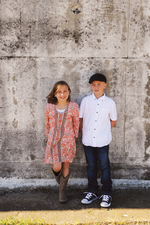 Colton loves playing baseball, is a big SF Giants fan and now has a little sister, Kylee. He recently got a new black lab puppy named Drake.